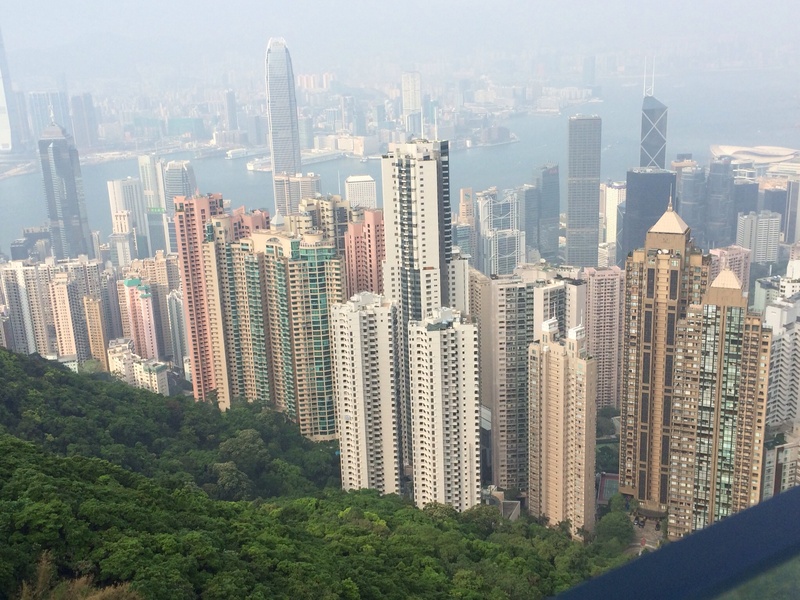 First Stop … Hong Kong! The first thing you notice when you arrive in this huge metropolis is that you can travel very easily around the whole place and never need to go outside. Just purchase an octopus card, put a few hundred Hong Kong dollars on it and you re able to go anywhere on any form of transport around the city. You can even use it like an eftpos card in convenience stores. 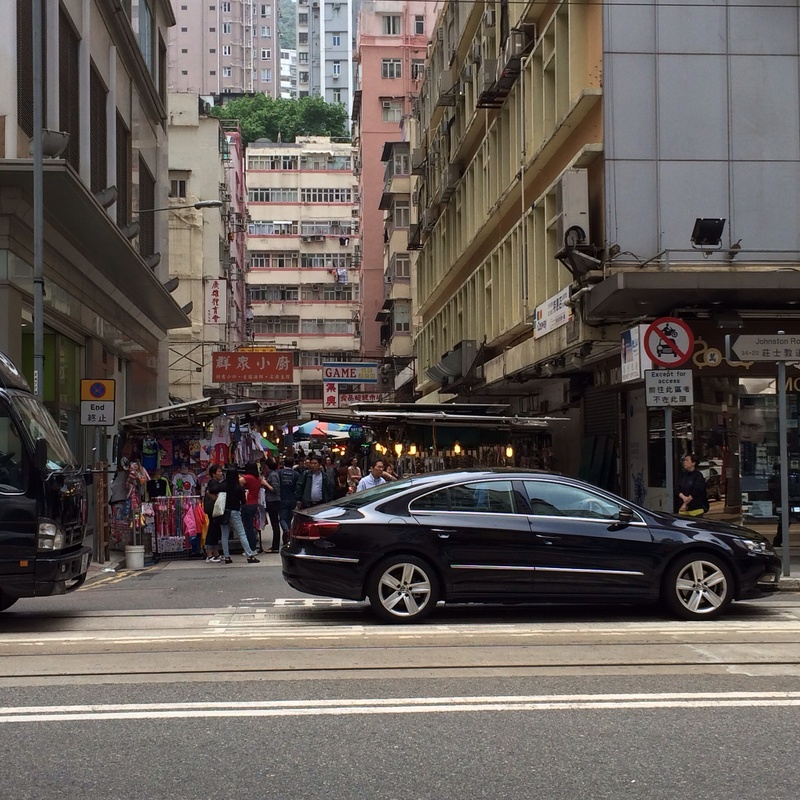 Once you are outside, you see what a mixture Hong Kong is from very old to space age new. You can be part of the hustle and bustle of the street markets or be part of the select few allowed to queue up and enter the designer stores. The parks are full of people meditating, exercising and practising tai chi. There are football, basketball, tennis and badminton courts tucked in surprising places between tall buildings and jogging trails winding their way around the parks. Down in Causeway Bay we were watching our step as we avoided people, trucks and fresh goods that spilt out onto the lane ways when this old open truck clattered to a halt amid much shouting. A man jumped off the back and wrestled a huge basket onto the road. Out thrashed a massive red cod the size of small child. Another man leaped from his stall brandishing a large cleaver. I couldn’t watch to see this magnificent fish lose his head in the middle of the street and so we quickly turned only to notice that the seafood was so fresh in the other stalls that quite a few creatures were still taking their last breaths as they waited to be sold. We abandoned the city and went to The Peak by tram. Up here above the line of pollution, the air is clean and the 360 degree view amazing. The old colonials used to live up in the mountains to escape the heat and enjoy the breeze. Only the very wealthy can afford to live here now. We also enjoyed the natural landscape around the Big Buddha on Lantau Island. Here we hiked for kilometres along mountain trails and saw butterflies, birds, waterfalls all to the tune of the chirping cicadas. 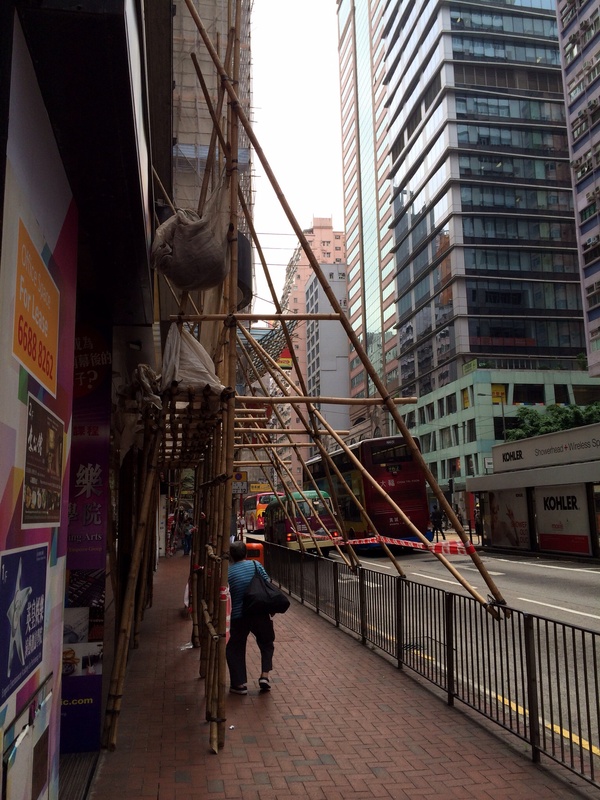 So this was our glimpse of the bustling world market place called Hong Kong. Extremely well organised and so easy to get around. The food is amazing, the citizens are polite and friendly and there is something for everyone to see and do.